In The Universal God: The Search for God in the Twenty-First Century, R. William Davies endeavors to lead the spiritual seeker in a quest to find a God of all religions. Raised a Christian, the past church elder and Sunday school teacher grew up questioning the notion that salvation could only be found through a belief in Christ. While Davies did not question that Christ could provide salvation, he could not resolve the internal conflict he experienced between a loving God and a God who did not provide a means of salvation to other religions. This conflict led Davies on his own spiritual quest, one that was shaped and defined by various people and experiences along the way. Davies states that both Eastern and Western religions have historically–often intentionally–created divisions between people to ensure their own survival. These divisions have been based on perceived differences between belief systems. Davies asserts that there is an essence of truth, often thought to be unique by each individual religion, that, in fact, underlies all religions. His universal God can be found both through an understanding of religious themes and in the application of the commonalities of all religions. The book is divided into two sections. The first section comprises individual discussions of each of the belief systems of world religions, from Hinduism to Islam. Thanks to the systematic method Davies employs in the application of his research into the history and tenets of world religions in the first section, the reader will feel adequately prepared to move on to the second section of the book, which provides commentary on the differences and similarities between Eastern and Western religions as they relate to the characteristics of God and the outward and inward paths to God. 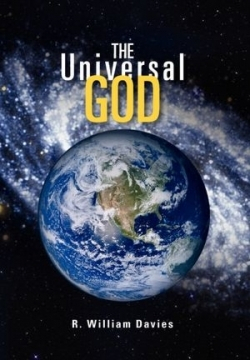 In The Universal God, Davies successfully communicates his research, conclusions, and personal revelations in a manner that, regardless of their own religious beliefs, readers will find both refreshing and thought provoking. Davies’ desire to lead others in their own quests for God is apparent in this sincere and well-written work.